United Kingdom-based businesses can apply for a share of £1,000,000 (one million pounds) for early-stage, human-centred design projects to create and explore new product or service ideas. Projects are expected to cost no more than £60,000 (sixty thousand pounds) in total. 16 May 2017: Manchester briefing event. 23 May 2017: Cardiff briefing event. 25 May 2017: Dundee briefing event. 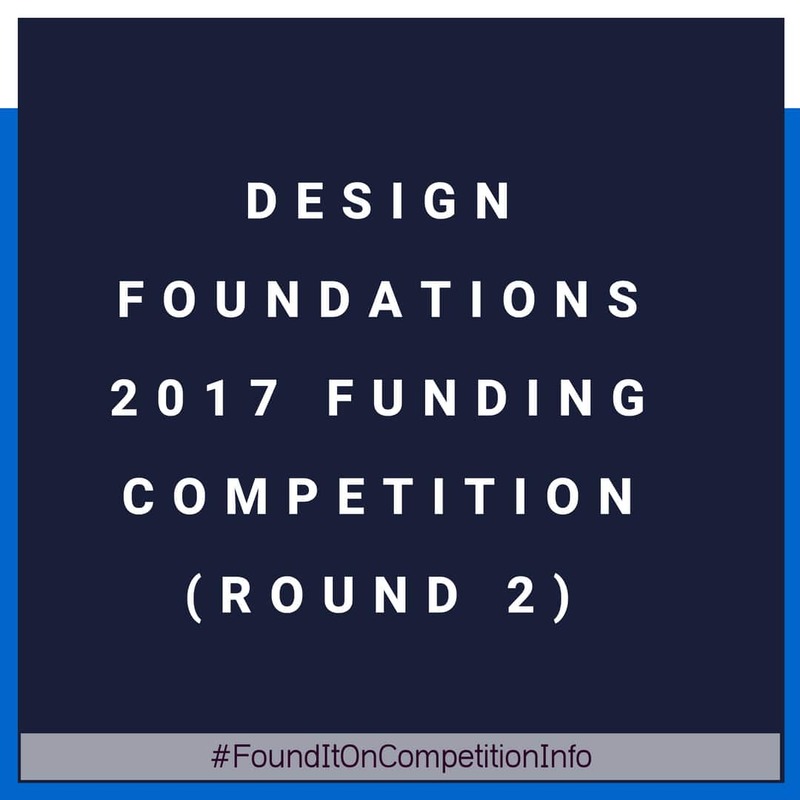 21 June 2017: Submission deadline, competition closed 12:00 midday. Projects are expected to last no more than 6 months.